When I was a boy my father smoked a pipe. If you close your eyes and picture a stereotypical professor, that was my Dad: mustache, tweed coat with elbow patches, cup of coffee, pipe, smoke wafting around his head as he graded papers. I never cared for the smell of the pipe smoke, but I absolutely loved the smell of the sweet tobacco he kept in a tin in a downstairs closet. I remember opening the tin and just smelling the sweet, rich aroma. It’s a memory that has stayed with me long after my father stopped smoking that pipe, and one which occasionally becomes fresh in my mind again as I notice it in the nose of certain quality wines. Charles Smith is a rock star winemaker who has made millions making wines “…people like, in a bottle that’s easy to remember.” You are probably familiar with some of the wines he founded, including those recently sold to Constellation Brands for $120 million: Kung Fu Girl Riesling, Boom Boom Syrah, Velvet Devil Merlot, to name a few. 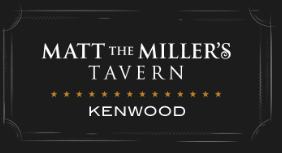 This week’s featured wine is a step up from those, but still remarkably affordable. 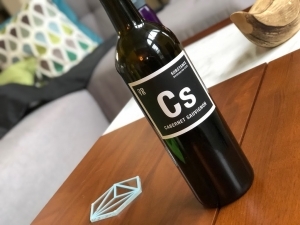 The CS Cabernet Sauvignon is from a Charles Smith label he calls “Wines With Substance.” It’s 100% Cabernet Sauvignon grapes, all from Washington’s Columbia Valley, aged for 12 months in French oak, and is absolutely delicious! Readers of this blog know I am always geeked about finding wines that over-deliver in flavor compared to their price, and this one does that in spades. If I was blind tasting this, I’d guess it would be in the $30-$40 range, and indeed, its ratings from Wine Enthusiast, Robert Parker, James Suckling and Wine Spectator all put it at that level of quality. But you can find this wine for less than $17 a bottle. It’s an unbelievable value! That pipe tobacco I was talking about from my childhood? It’s the first thing I noticed when I opened this bottle. From the sweet tobacco and cassis aromas to the layers of blackberry, juicy plum and blueberry flavors, this is a wine that even Charles Smith agrees should be priced higher! Before he does, stock up and thank me later. On my five-cork scale based on taste and value, the 2016 CS Substance Cabernet from Charles Smith gets 4.25 corks! Buy this wine. Drink it. Enjoy it. Tell your friends. Repeat.